Pioneer Day is a state holiday in Utah. 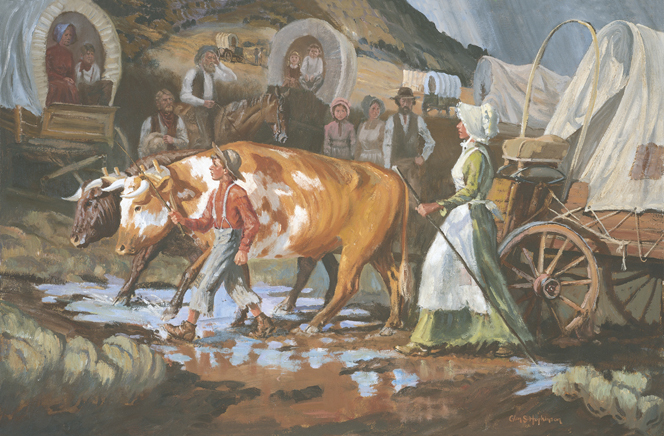 It is celebrated on July 24th each year to commemorate the entry of Brigham Young and the first group of Mormon pioneers into Utah’s Salt Lake Valley in 1847. The 24th celebration honors the bravery of the original settlers and their strength of character and physical endurance. Many families in St. Johns, Arizona have ancestors who were a part of this pioneer movement and were sent to settle St. Johns and the surrounding towns. Posted on May 29, 2015, in History of Pioneer Days. Bookmark the permalink. Comments Off on Why Do We Have A Celebration On July 24th.